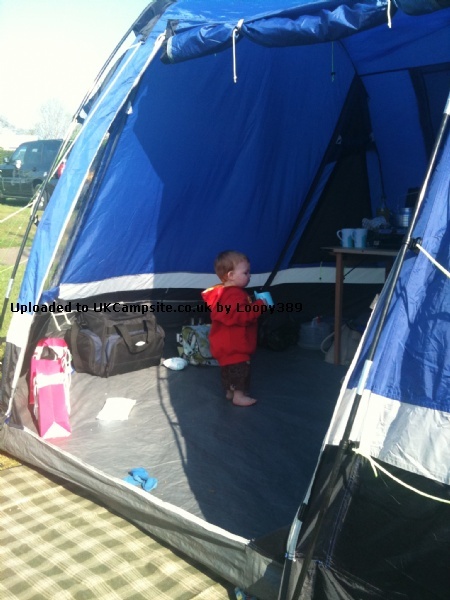 We have used this tent for 3 years for 2 adults and 1 child. 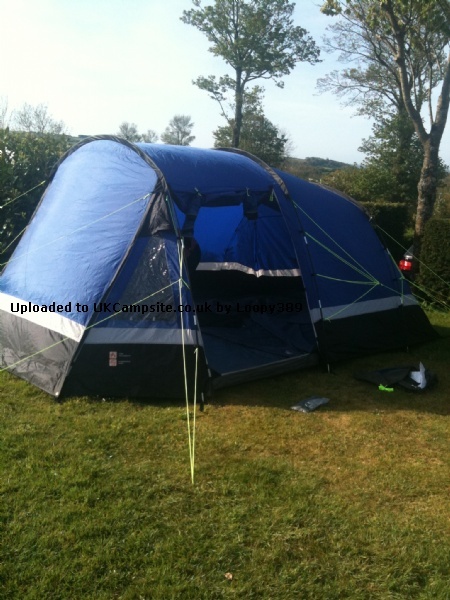 Has been an excellent tent and has room in there for us , could not see how 5 people could live in it though ! 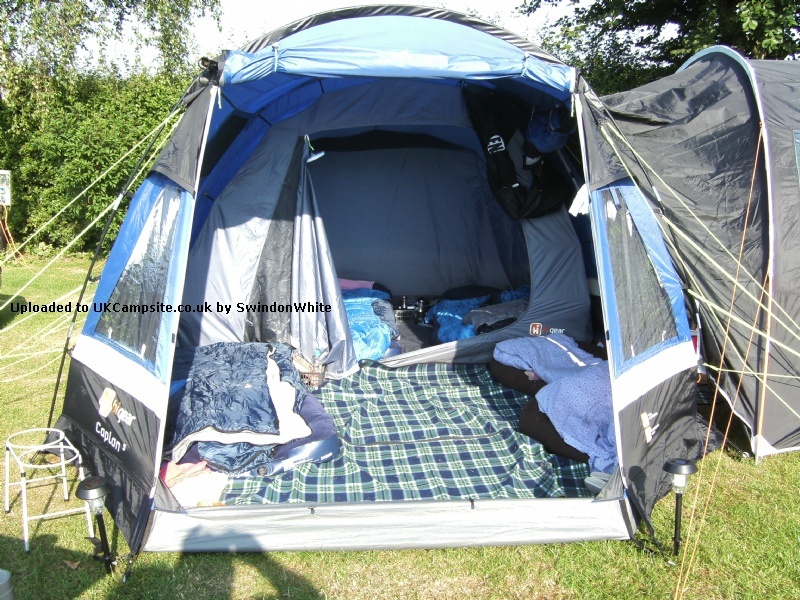 We have had bad weather rain, wind thunderstorms and the tent has never leaked at all apart from the bottom flap on the side entrance door. There needs to be some hooks or velcro to secure this door as it flaps a bit in bad weather conditions ! 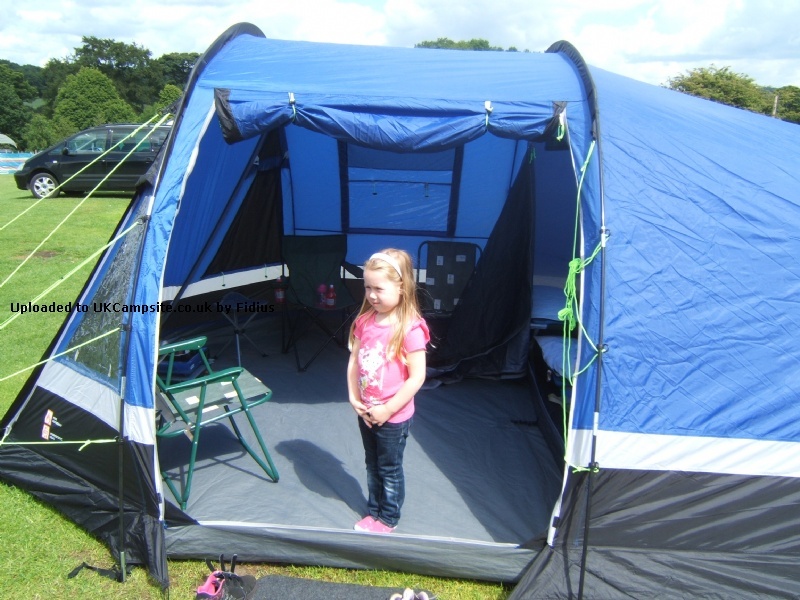 This is an ideal tent for beginners and we have realised we have now outgrown this and will be looking for another high gear tent which has more living space. Overall an excellent buy as we got it for 79.99 ! Definitely recommend ! 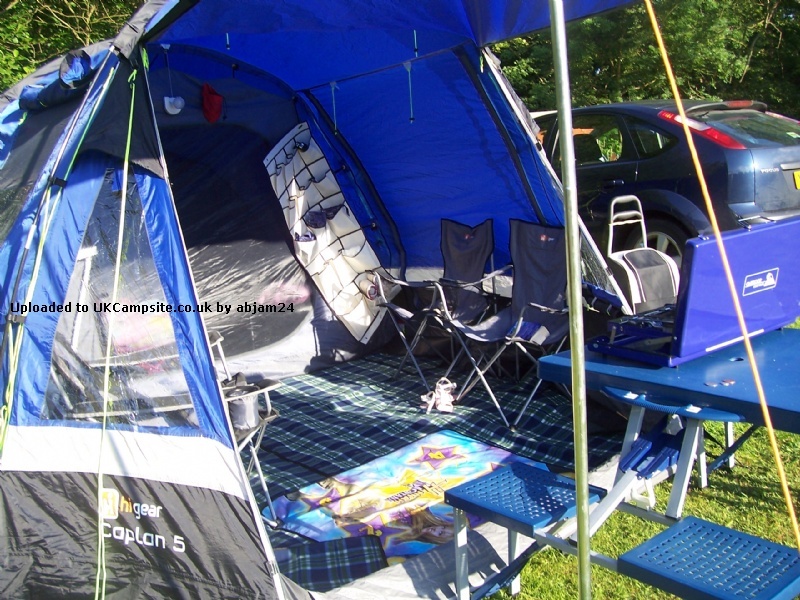 My wife and I bought a caplin 5 from go outdoors. 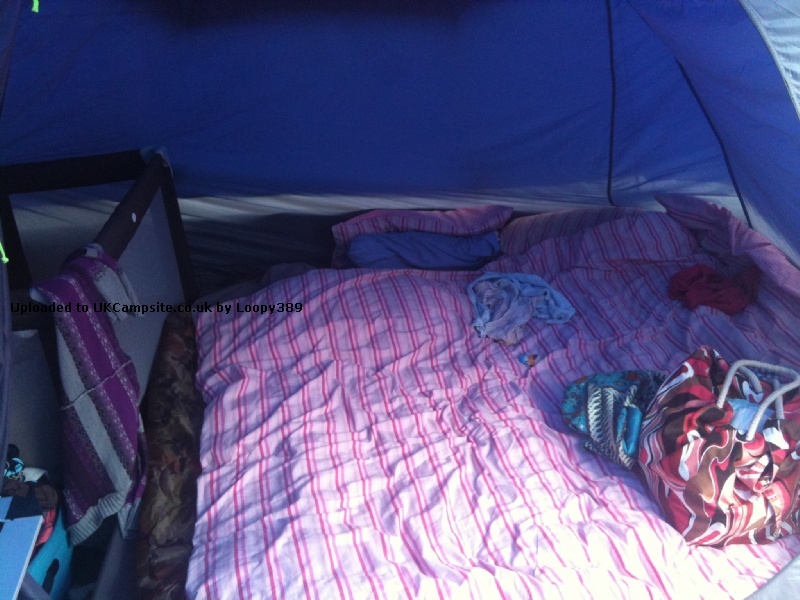 It was to be our first tent we bought. 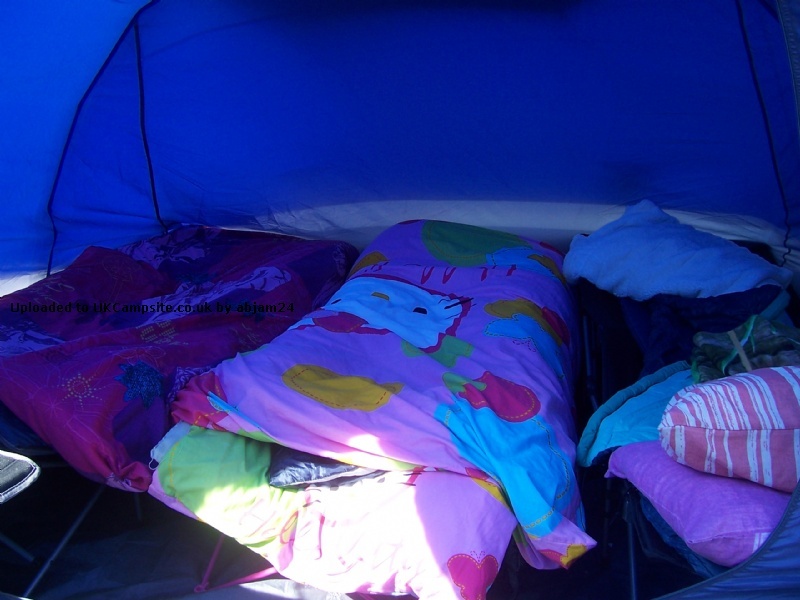 Once up the tent was a great little home. Just big enough for a couple. 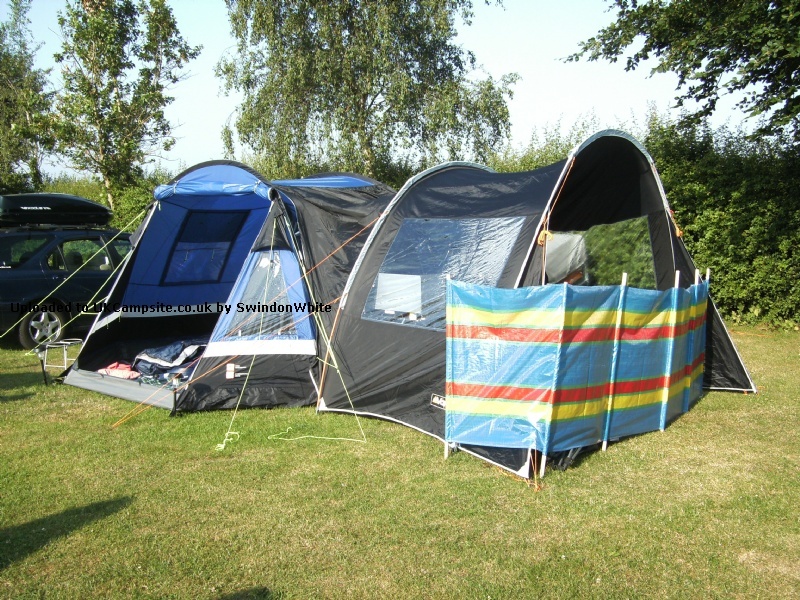 Can't see how they can sell it as a 5man but then again, we both dO like our space. Used it twice with success. 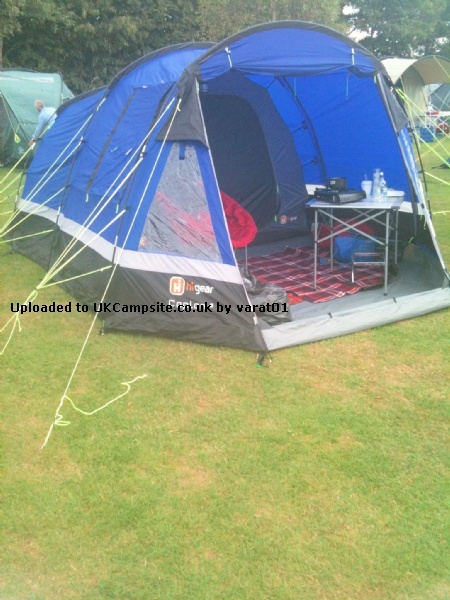 First at Silverstone for the bsb, and then the next time for iow festival. Both occasions it performed faultlessly. The 3rd time was for the moto gp again at Silverstone. 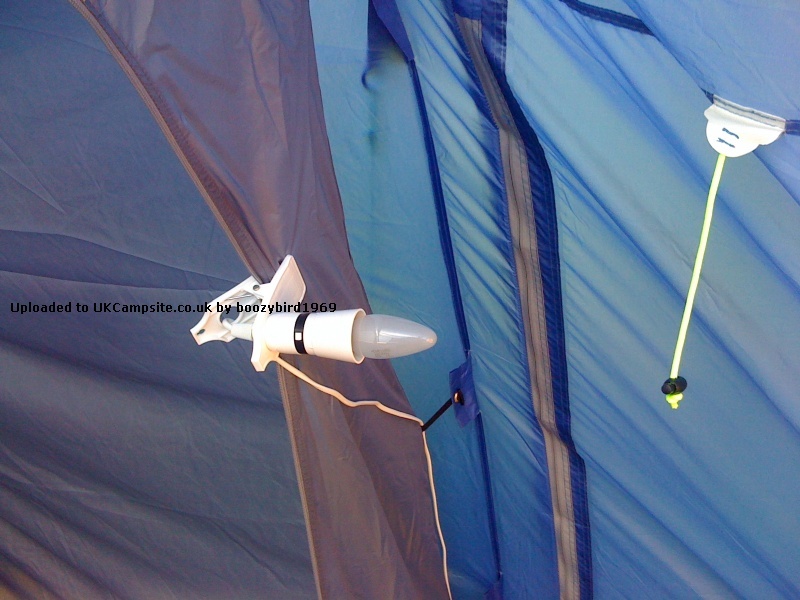 It was a very windy Friday afternoon, as I was inserting the poles I could hear cracking sounds. Once ten was up and pegged down I inspected all the poles to find that 2 of the 3 had cracked. 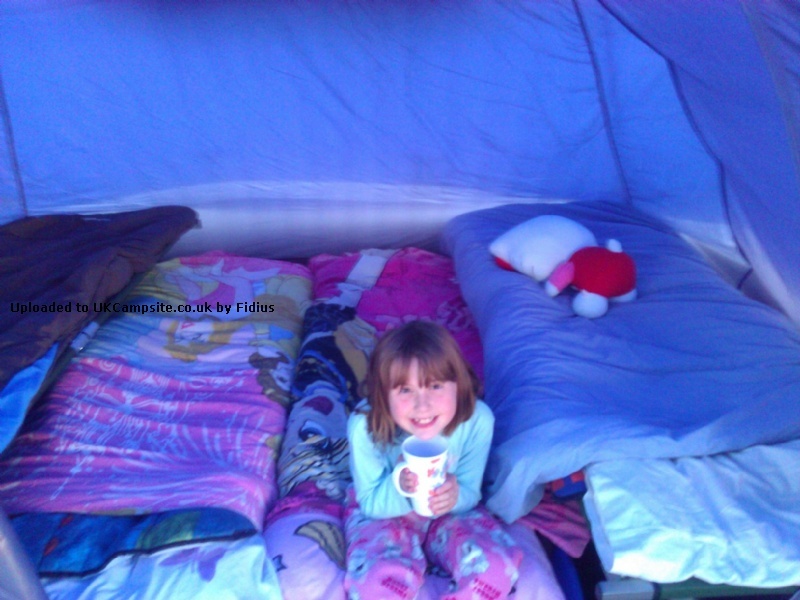 Within half an hour the tent had collapsed. Nightmare. 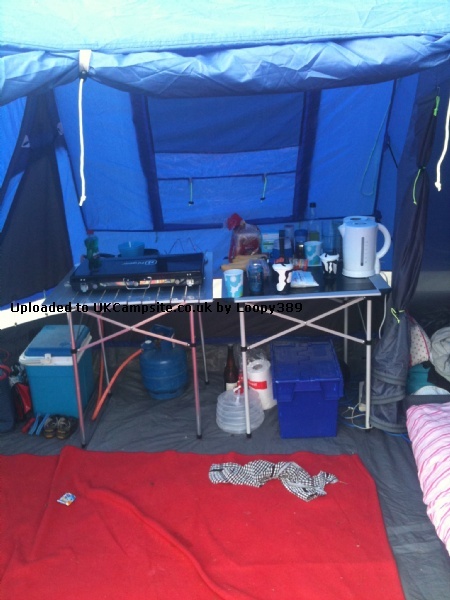 So although the tent was fine, the fibreglass poles ain't up to much IMO. 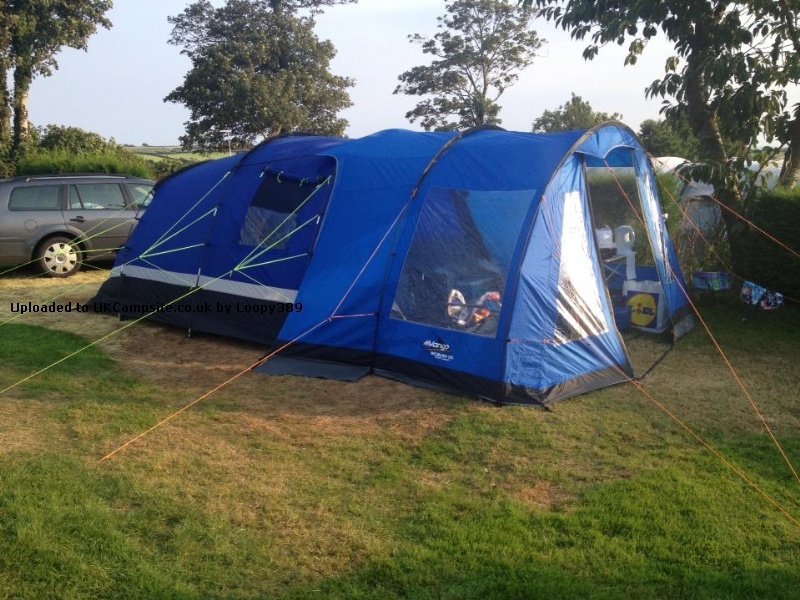 Bought this tent from go outdoors while it was in the sale and was a great purchase. 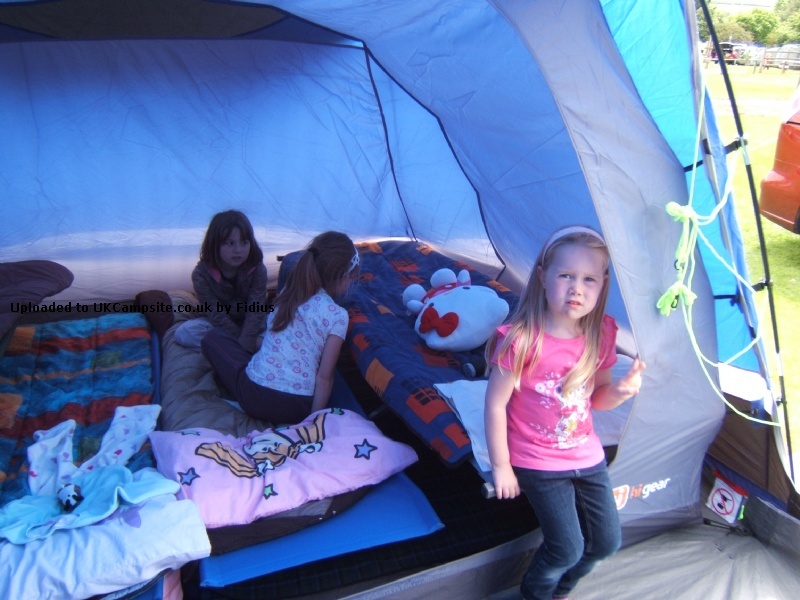 This is our 2nd tent as our 1st one was a regatta and did not have a sewn in ground sheet. 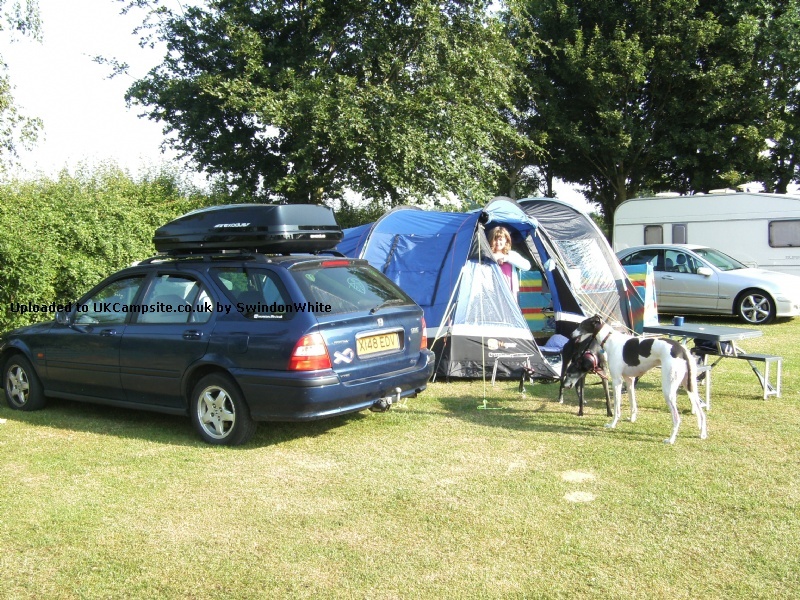 It states 5 berth but I think it would be a tight fit as me, my partner and 2 young children fit in quite snug. 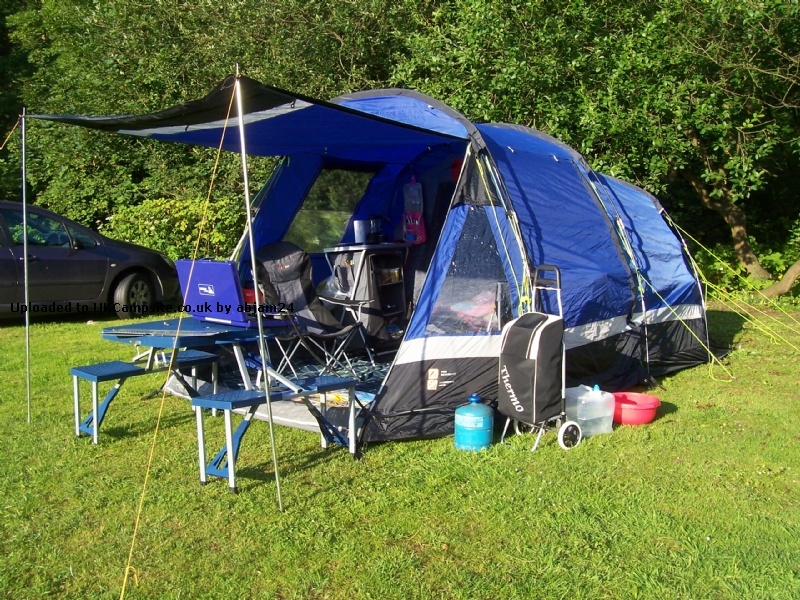 Agree with other people about the side door not a very water/ draught proof but having said that we have been in it while raining, usual uk summer weather, and was fine. Plenty of space in the living area for storage. Easy to put up and take down also. 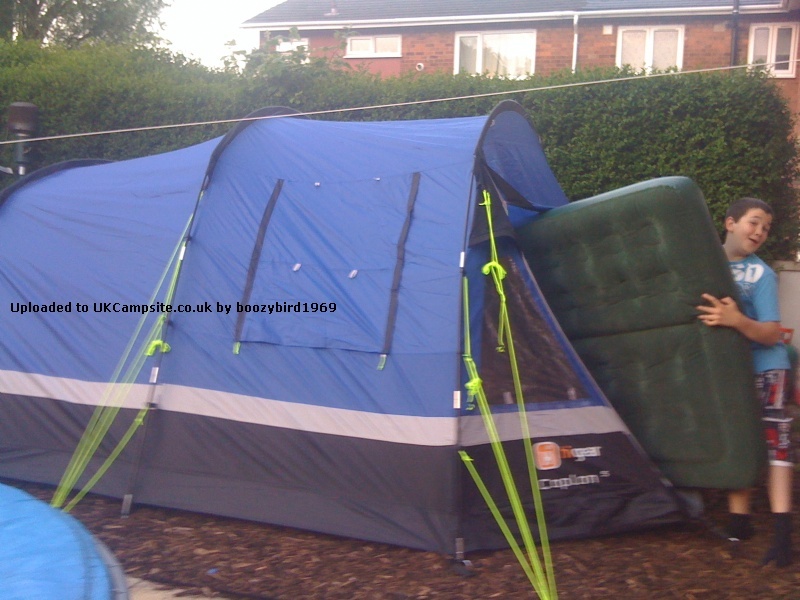 Not had any problems with this tent as yet. 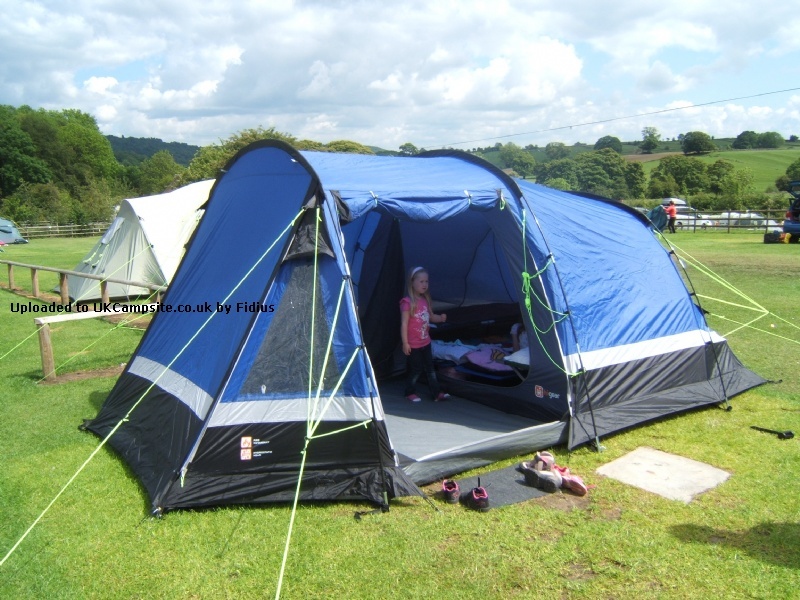 On the plus side this tent is light,airy and easy to pitch but the very big downside is it is useless in rain and or wind! the doors have a longwinded toggle arrangement which basically mean you get soaked whilst trying to get in/out, the doors blow in when it's windy and like many others I find the side door to blow inwards as there are no toggles/zip. The extreme slope of the front door cuts down your living space and to be honest find it a squash for two yet alone five having said that,the bedroom is big but again I wouldn't want five in it! I'm not anti Hi-Gear, far from it as I have 2 of their other models and am very happy with them. 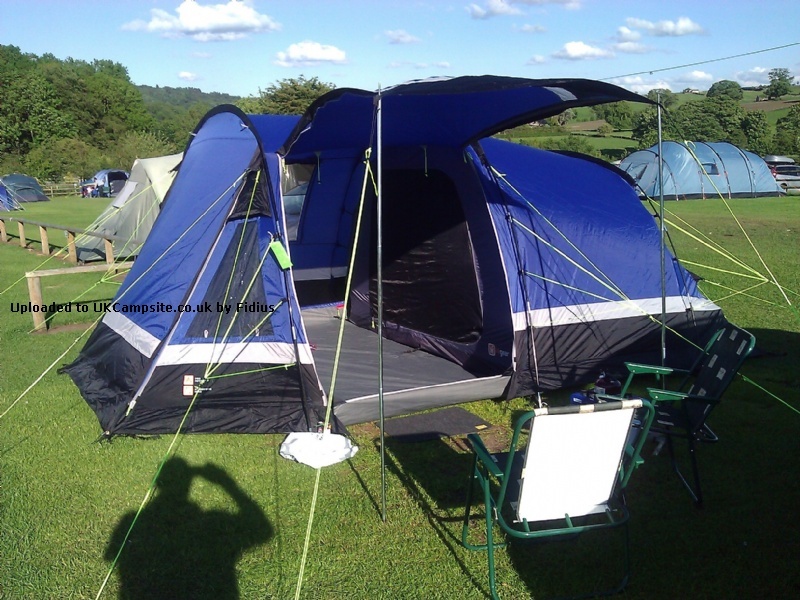 Purchased from Go Outdoors during a special promotion the Caplan 5 offered plenty of room for the 2 of us at a very attractive price. 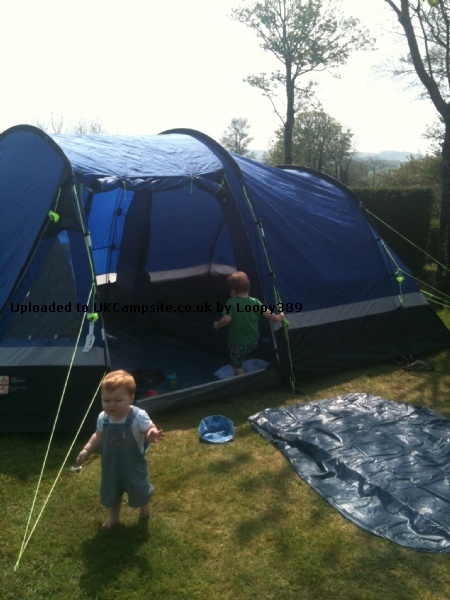 We purchased a carpet kit and a footprint groundsheet and paid less than �150 for the lot. Yes there are a few little niggles not the least of which is that the side entrance does not have a proper seal at the bottom and in anything less than a perfect pitch tends to gape. 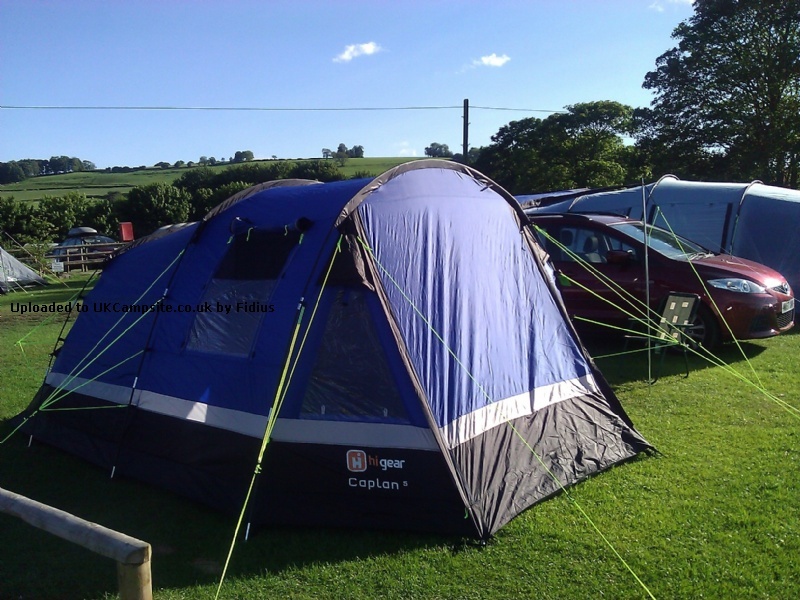 We solved this with some bungy cord and some clip on eyelets which allow us to get a much better closure. 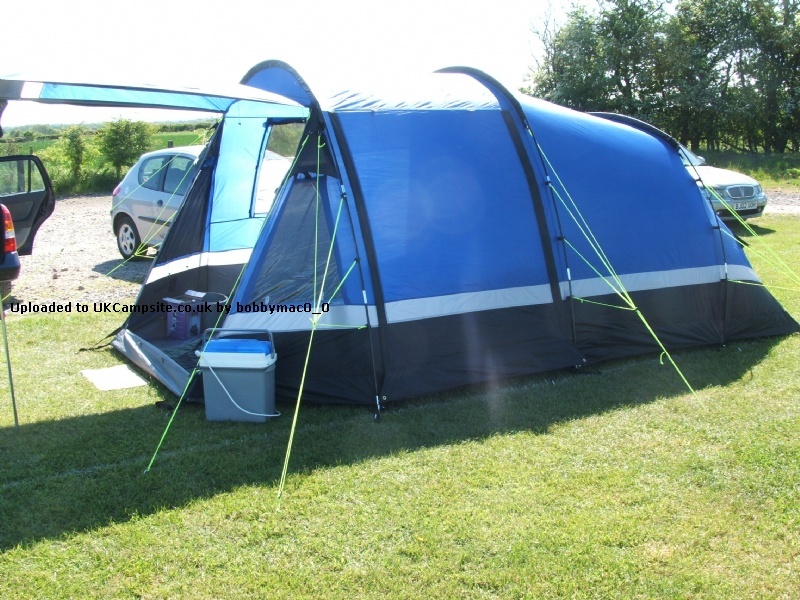 The tent is quick and easy to errect and stable even in high winds. 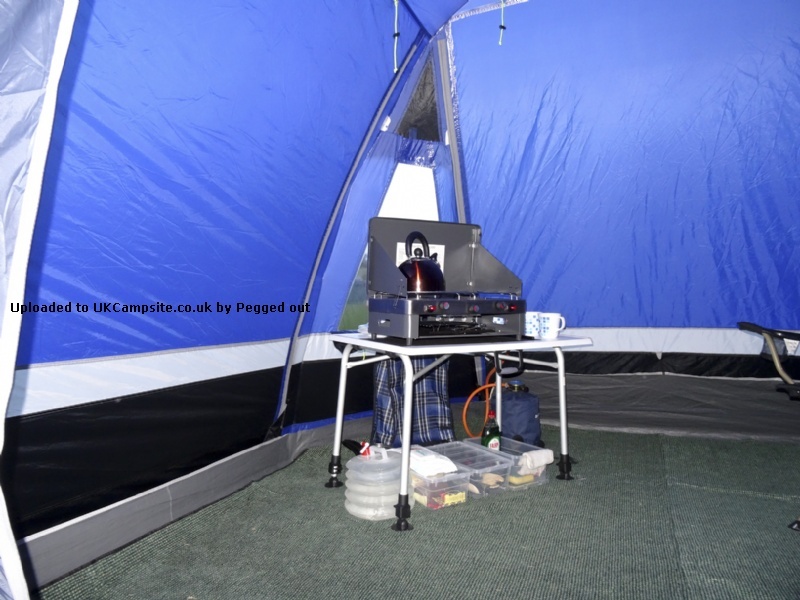 The inner tent can be lef fitted to the inside of the tent which makes errection even easier. I was pleasently surprised that this budget offering performed so well. 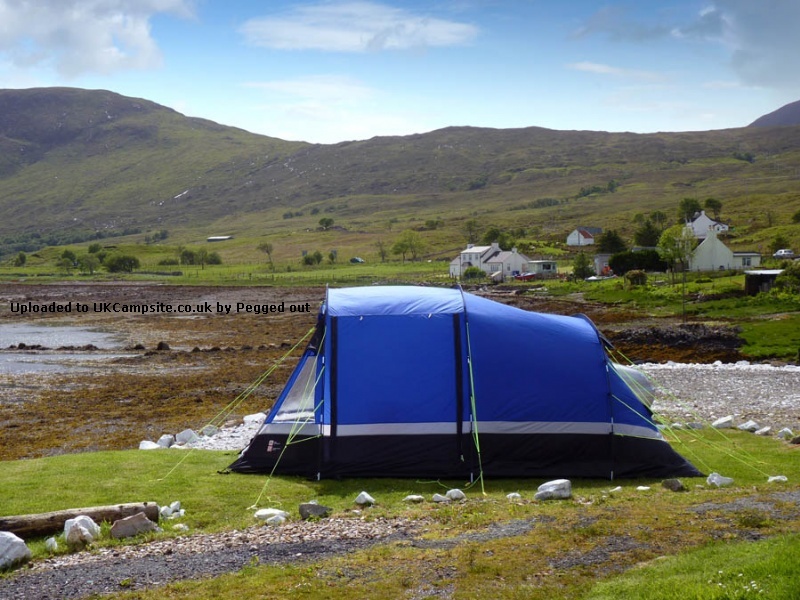 I was impressed with this tent, On a recent camping trip to the Isle Of Skye we had torrential rain and severe winds for the 3 days we were there. 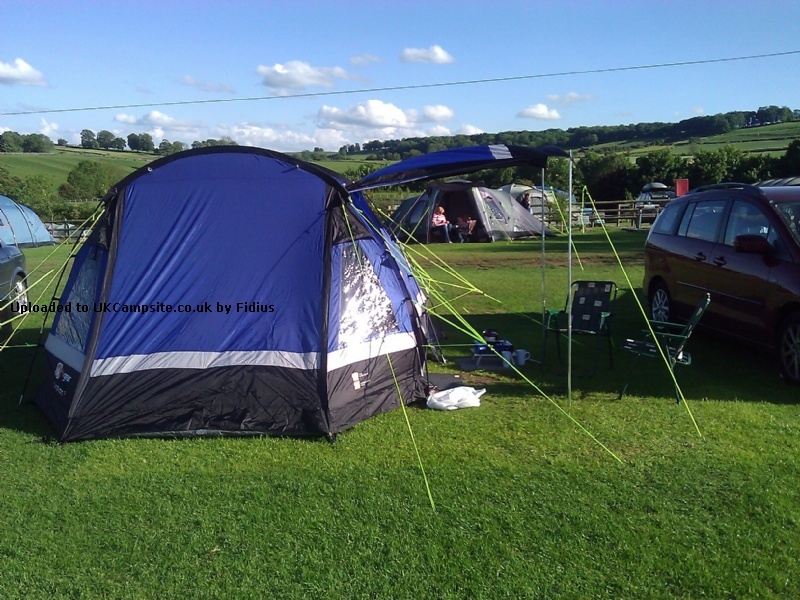 The poles did break but given the severity of the winds I think this could have happened to any tent. 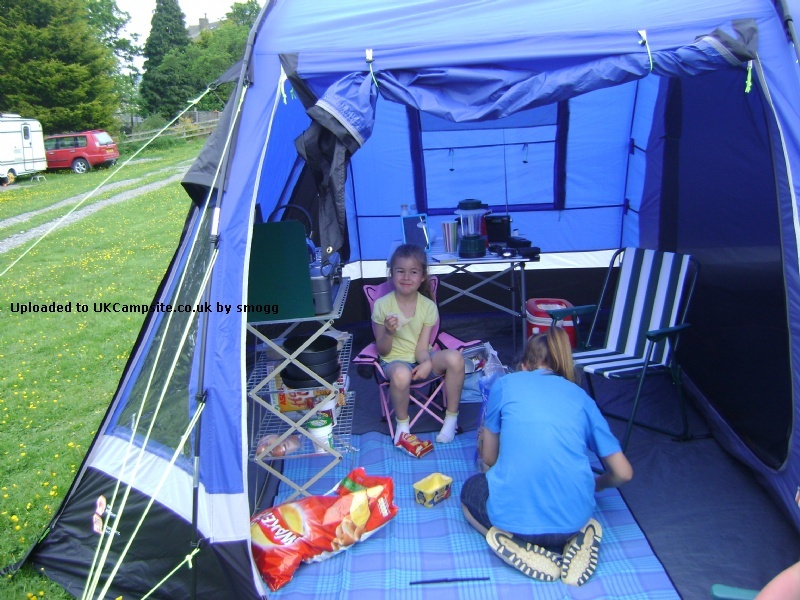 If the wind had stopped the tent would have remained upright even with the damaged poles. What was amazing is that it did not let a drop of water in it. 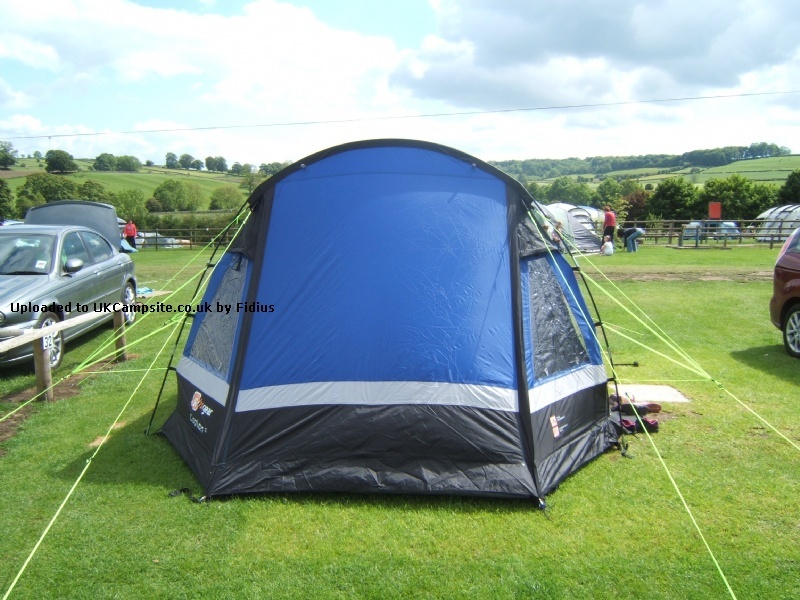 I have since replaced the poles and will continue to use it, it is large and spacious, easy to erect and to put away. 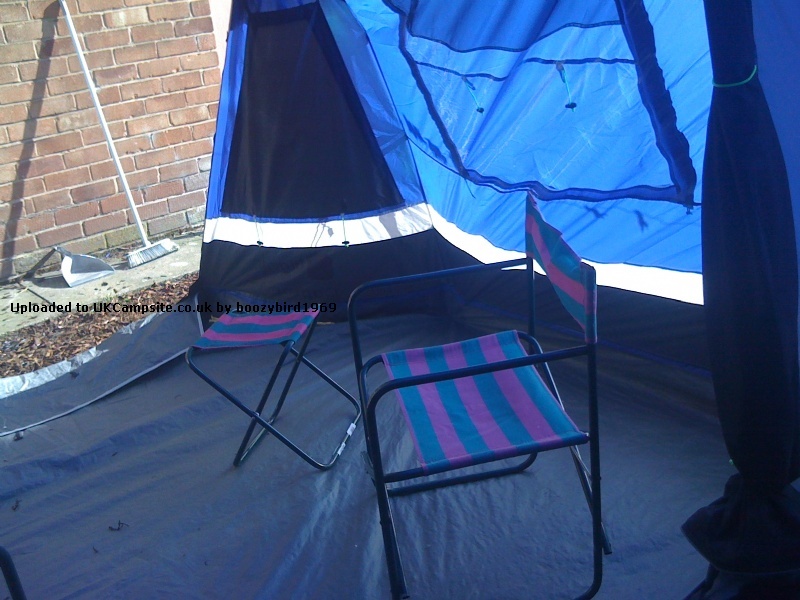 I would have liked to see a porch for this tent though. 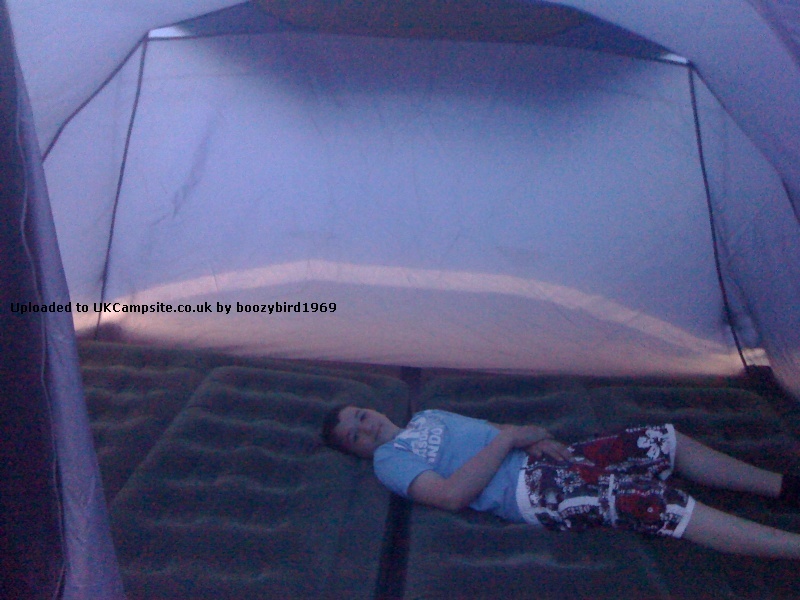 Even with the above I have still given this tent a 10 out of 10. 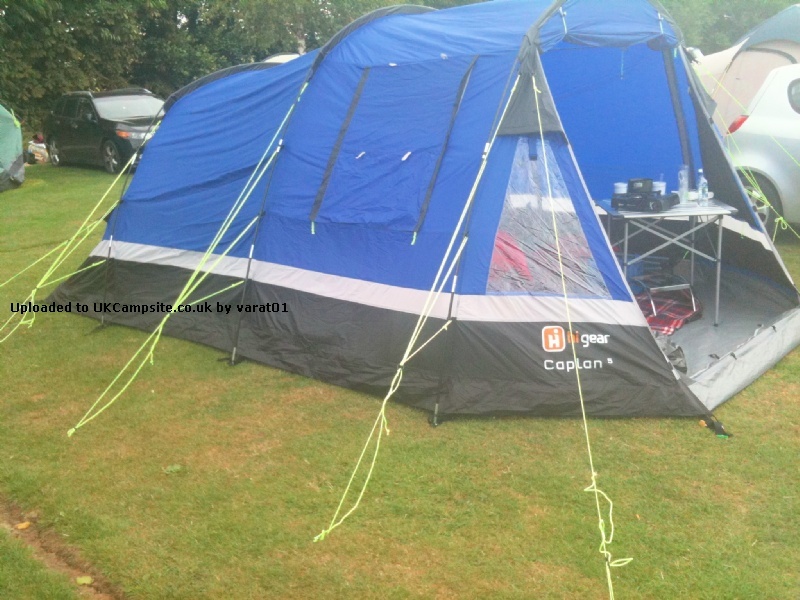 We've just returned from our second trip in the Caplan 5 and once again he's done us proud. 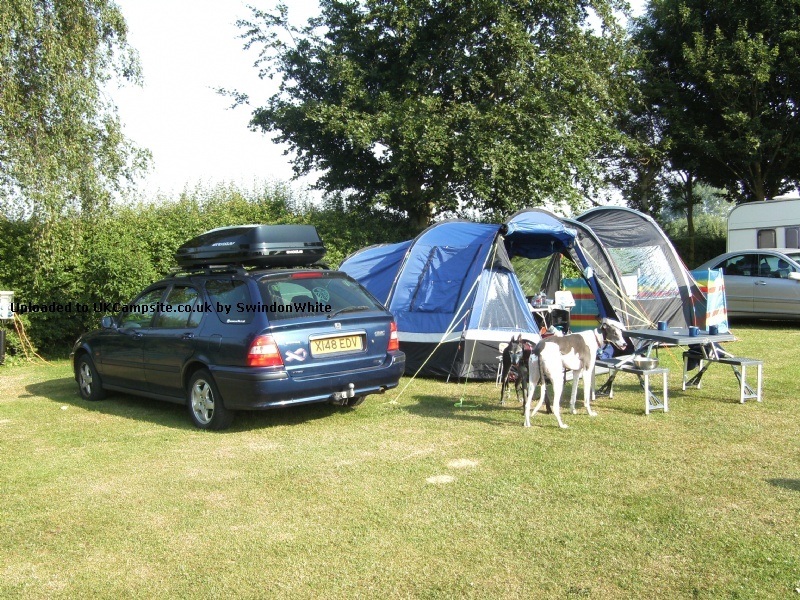 There are 2 of us and a dog and it would be a struggle to accommodate anyone else, but we do have large campbeds and like a bit of room to move around. 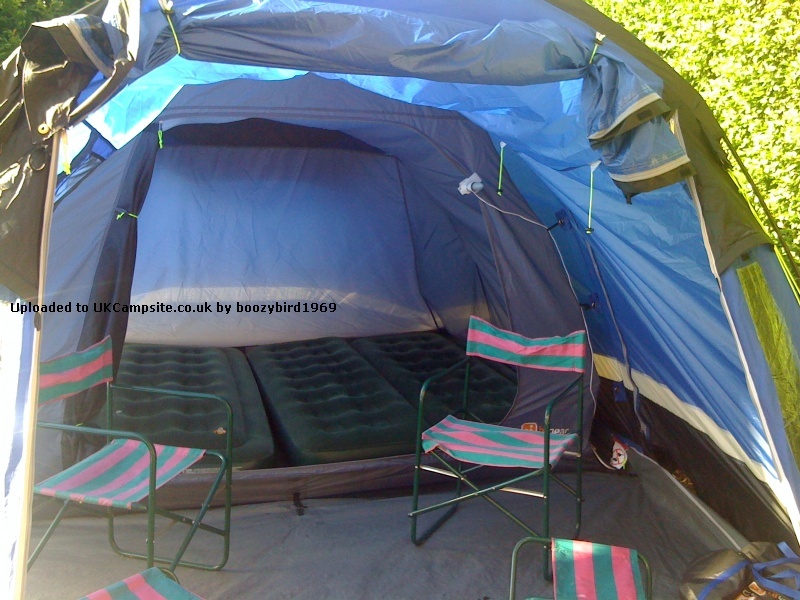 Its easy to put up & take down and its so easy to store as it fits under our bed. We had some heavy rain yesterday and there were no leaks at all. 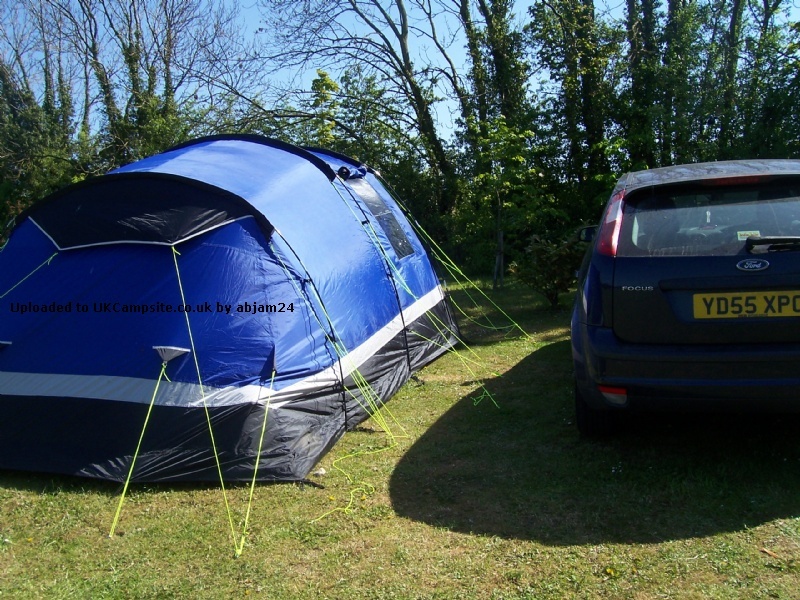 My only gripe with the tent and the thing that stops me from giving it 10/10 is the same as everyone else - no fastening on the side door. I'm sure it wouldnt have cost any more money to put a couple of toggles on it. 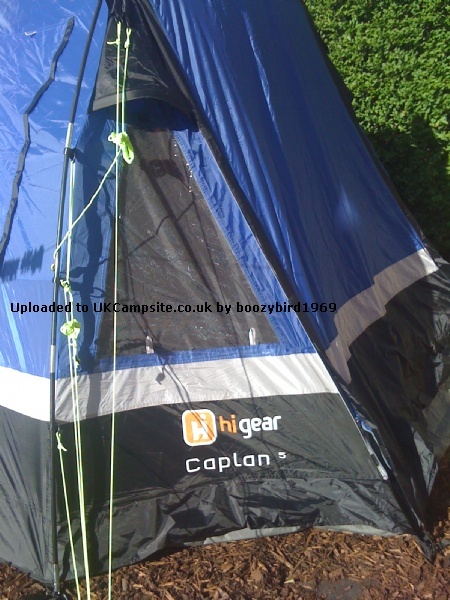 Add your review of the Caplan 5! 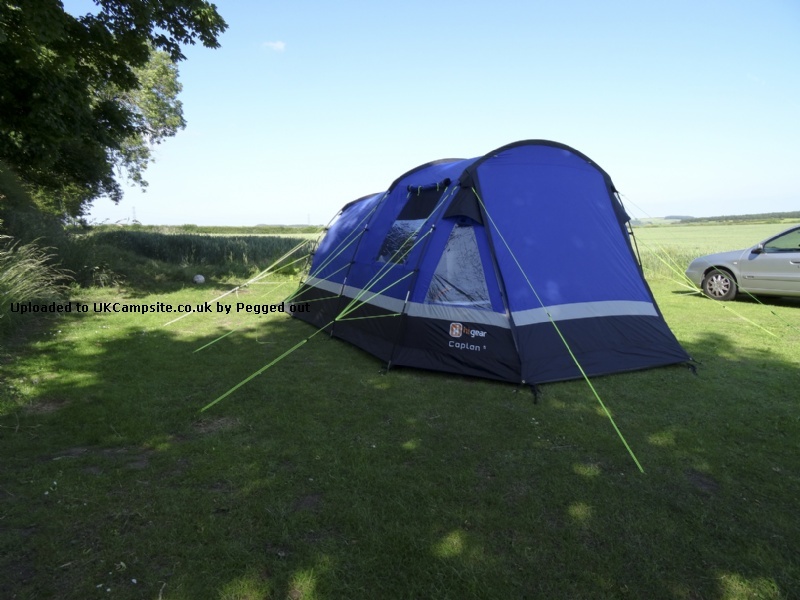 The Hi Gear Caplan 5 Tent is a brand new tent, available exclusively from Go Outdoors, which has all the space and convenience you need for a group camping holiday. 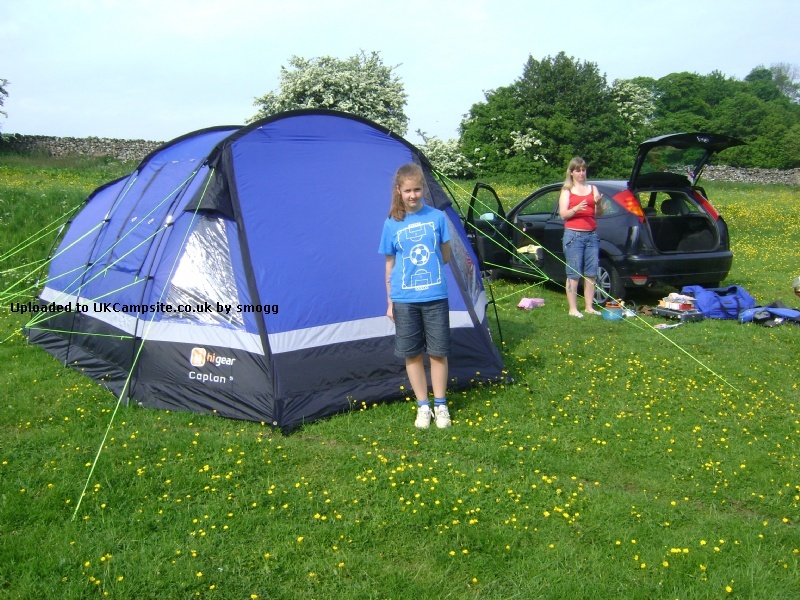 It's pitched outer-first to keep things simple, and has a breathable inner to keep you comfortable in the summer heat. 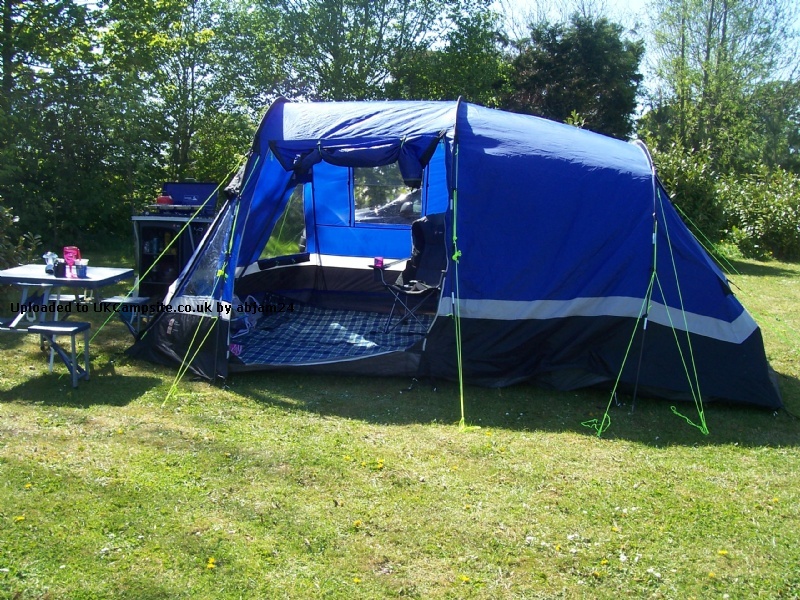 The outer flysheet, with taped seams, is easily waterproof enough to handle heavy downpours, while front and side entrances let you block the wind and rain from getting in. 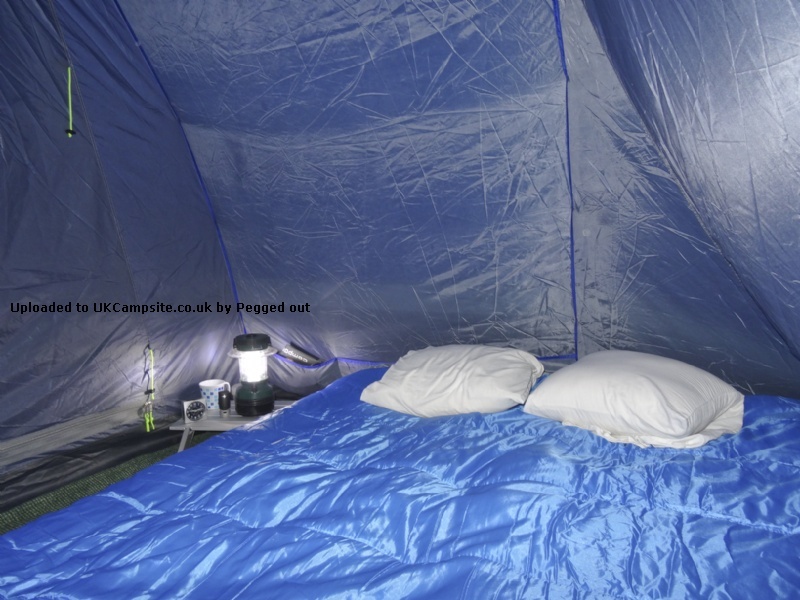 The fully sewn-in groundsheet makes it easy for you to keep a clear, clean space for you and your gear, and keeps water, draughts and bugs out of your tent. 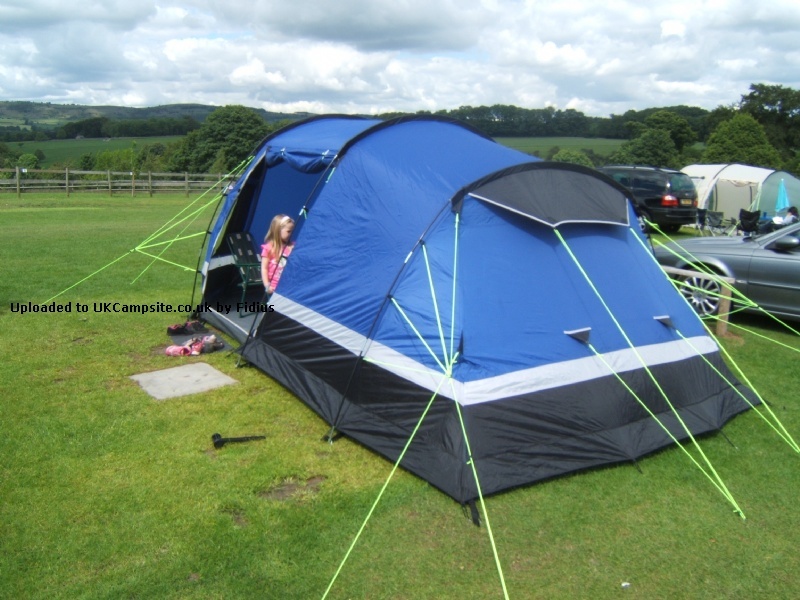 For extra stability, the tent uses Hi Gear's revolutionary pole bracing system, so it will pitch anywhere and withstand strong winds. 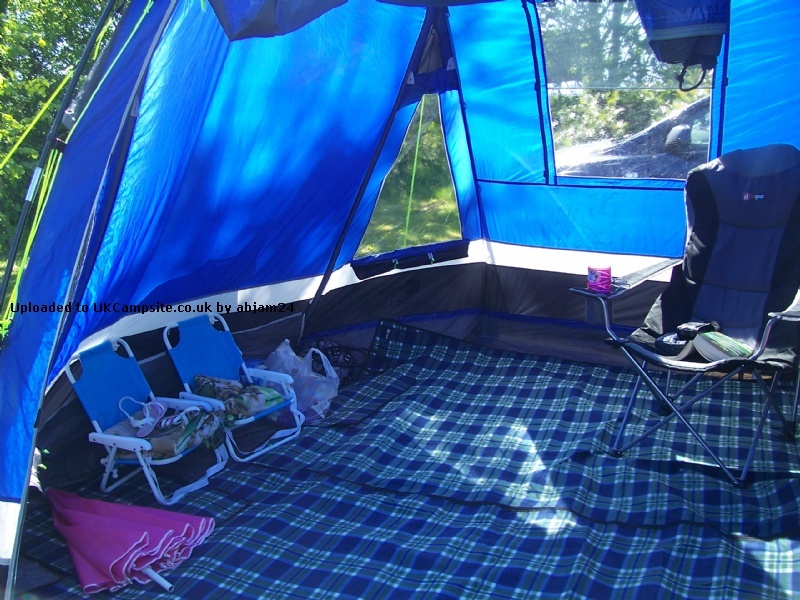 A perfect tent for an easy stay in the outdoors.